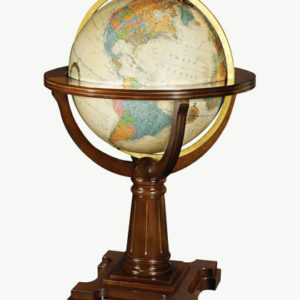 The stately Annapolis is the first release in the Explorer’s Collection series of limited-edition globes. 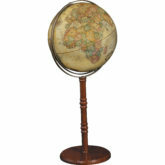 This 20″ diameter illuminated globe features a hand-applied, hand-cut map showing over 4,200 place names. 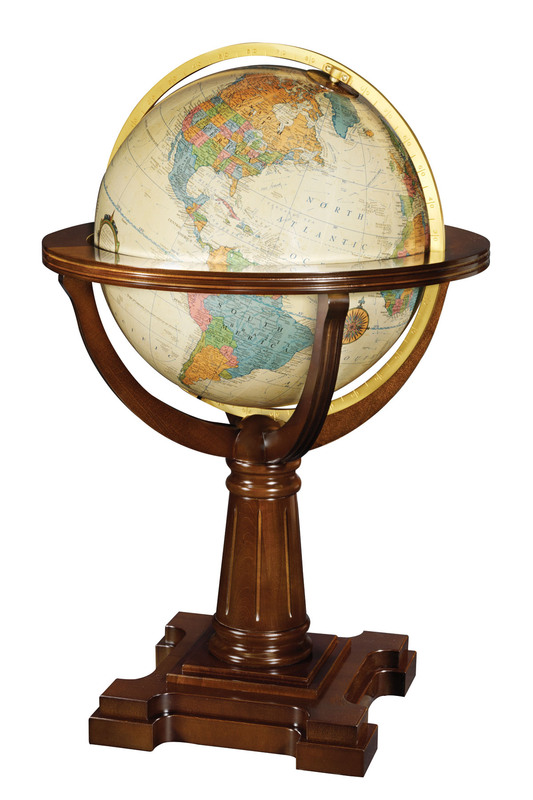 The Annapolis arrives accompanied by a World Atlas with hundreds of pages of geographic, cultural, and environmental facts and images. 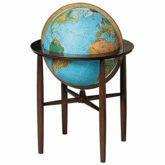 Diameter: 20″ , Height: 40″ , Weight: 39 lbs. 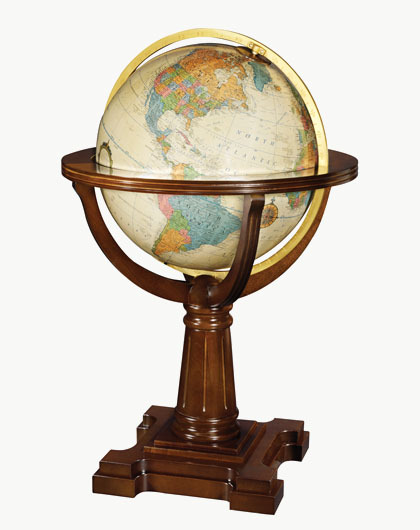 Replogle Globes has been manufacturing globes since 1930. They are Chicago based.